An experienced Registered Migration Agent can guide you through complex application processes, handle the paperwork for you and present your case in the strongest way possible. If you are in North Queensland, you can make an appointment for a first consultation in our Townsville office by contacting us. If you are not able to visit our office, we can arrange a convenient time to have a discussion per phone. Our services are provided on a "fixed fee" basis. We will provide you with details of all the costs involved so that you can make a decision if you wish to proceed further. 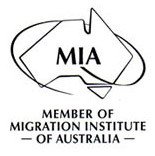 Providing advice relating to your migration goals and choice of visa category. Assistance in the completion and/or checking of relevant application forms. Provision of advice and assistance relating to documentation required to support the application.